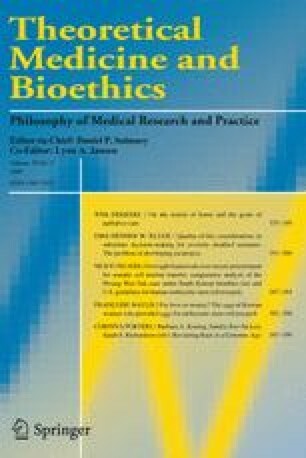 We examine whether the current regulatory regime instituted in South Korea and the United States would have prevented Hwang’s potential transgressions in oocyte procurement for somatic cell nuclear transfer, we compare the general aspects and oversight framework of the Bioethics and Biosafety Act in South Korea and the US National Academies’ Guidelines for Human Embryonic Stem Cell Research, and apply the relevant provisions and recommendations to each transgression. We conclude that the Act would institute centralized oversight under governmental auspices while the Guidelines recommend politically-independent, decentralized oversight bodies including a special review body for human embryonic stem cell research at an institutional level and that the Guidelines would have provided more vigorous protection for the women who had undergone oocyte procurement for Hwang’s research than the Act. We also suggest additional regulations to protect those who provide oocytes for research in South Korea. McGee, Glenn. 2006. Editorial retraction. The American Journal of Bioethics 6 (1): W33. http://bioethics.net/journal/j_articles.php?aid=913. Accessed 13 May 2009. Text of the report on Dr. Hwang Woo Suk. 2006. The New York Times. http://www.nytimes.com/2006/01/09/science/text-clonereport.html?pagewanted=print. Accessed 13 May 2009. Summary of the final report on Professor Woo Suk Hwang’s research allegations by Seoul National University Investigation Committee. 2006. http://www.ruhr-uni-bochum.de/kbe/Summary+of+the+Final+Report+on+Professor+Woo+Suk+Hwang.pdf. Accessed 13 May 2009. Eun Jung Lee. 2005. 黃 실제사용 난자수 3 배나 많아. http://news.khan.co.kr/kh_news/khan_art_view.html?artid=200512201801421&code=930401. Accessed 13 May 2009. South Korea’s cloning crisis. 2005. The New York Times. http://query.nytimes.com/gst/fullpage.html?res=9C04E5D91231F937A35751C1A9639C8B63&scp=1&sq=%20paid%20women%20%241,400%20apiece%20for%20eggs&st=cse. Accessed 13 May 2009. The National Bioethics Committee’s report on bioethical problems in Hwang Woo-Suk’s research. 2005. NBCReport-Hwang-Excerpts_SKorea(2008).pdf available at: http://eng.bprc.re.kr/gz06.htm?number=2. Accessed 13 May 2009. The bioethics and biosafety act of 2003 (South Korea). 2005. http://www.moleg.go.kr/main/main.do. Accessed 13 May 2009. Article 12 (2)-2 of the 2008 amendment of the bioethics and biosafety act of 2003 (South Korea). 2008. http://www.moleg.go.kr/main/main.do. Accessed 13 May 2009. The enforcement decree for the bioethics and biosafety act of 2003 (South Korea). http://www.moleg.go.kr/main/main.do. Accessed 13 May 2009. The enforcement guidelines for the bioethics and biosafety act of 2003 (South Korea). http://www.moleg.go.kr/main/main.do. Accessed 13 May 2009. Article 9 (2) of the 2008 amendment of the bioethics and biosafety act of 2003 (South Korea). 2008. http://www.law.go.kr/LSW/LsInfoP.do?lsiSeq=87356. Accessed 8 July 2009. Johnson, Judith A., and Erin D. Williams. 2005. CRS report for congress: Human cloning. http://shelby.senate.gov/public/_files/_pdfs/Cloning1.pdf. Accessed 13 May 2009. The National Conference of State Legislatures. 2007. State laws on frozen embryos: Gamete (egg/sperm) and embryo disposition. http://www.ncsl.org/programs/health/EmbryoDisposition.htm. Accessed 22 October 2008. The National Conference of State Legislatures. 2008. State human cloning laws. http://www.ncsl.org/programs/health/genetics/rt-shcl.htm. Accessed 22 Oct 2008. The National Conference of State Legislatures. 2008. Stem cell research. http://www.ncsl.org/programs/health/Genetics/embfet.htm. Accessed 22 Oct 2008. The National Academy of Sciences. 2008. About the NAS. http://www.nasonline.org/site/PageServer?pagename=ABOUT_main_page. Accessed 23 Oct 2008.